‘No internet’. Welcome to the world of Telstra. There are still occasional elements of life in Australia that leave me befuddled. Like yesterday’s discovery that Woolworths, one of the big two grocery chains over here, is one of the most profitable supermarket businesses in the world. Just think about that for a moment the next time you’re wondering why there are no cucumbers, or you are sorting through bags of limp pre-washed salad trying to decide which one is the least offensive – you are interacting with one of the most successful businesses of its type in the world. Aussie English differs from British English in all sorts of wonderful ways. There’s an adage that the UK and the US are two countries separated by a common language and there’s many an example to illustrate the point. I’d expected certain differences between British and Australian English too, and there are plenty. Most are readily decipherable, thanks to the absolute literalism of many, such as the wonderful phrase ‘sticky beaks’ for nosy people, or ‘footy’, for any sport that involves a large ball (except, in fact, football). Becoming home-owners in Australia has not only exposed us to a new range of emotions but to a new set of challenges, the most testing of which has been the need to hire various tradesmen (or, tradies as they are known here) to help us get our house the way we want it. The results have been, shall we say, interesting. Forget high-speed rail between Sydney and Melbourne. 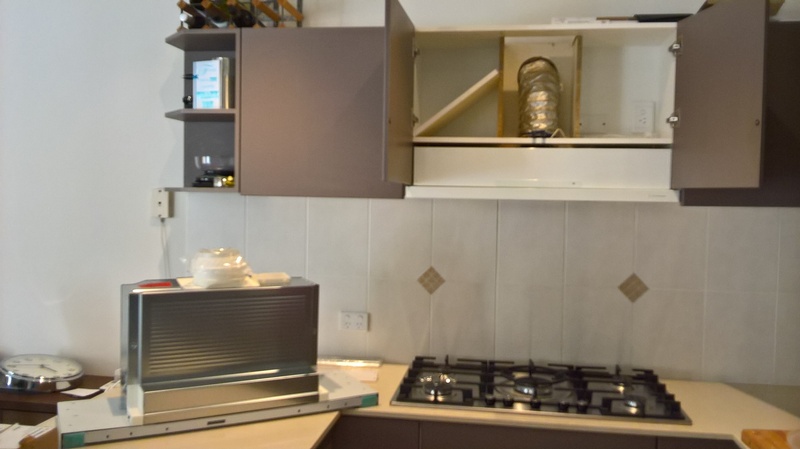 The greatest technological challenge in Australia today is the installation of this rangehood.